Home Life Why did Ecumenical Patriarchate grant autocephaly to Ukrainian Church so hastily? 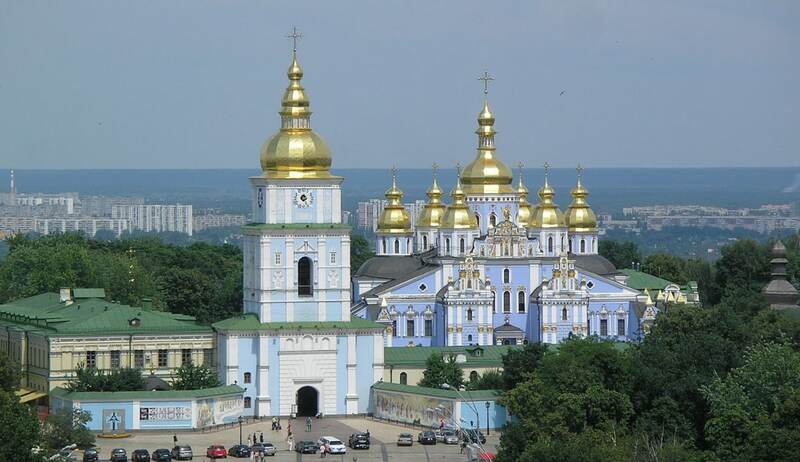 Why did Ecumenical Patriarchate grant autocephaly to Ukrainian Church so hastily? Lomidze is ajournalist and belong to the Georgian Orthodox Church. I cover events of the Orthodox life, my publications in English language can be found on the website The Orthodox Church (TheOrthodoxChurch.info) and others. In late January, there took place a Virtual Town Hall on the Ukrainian Autocephaly organized by the Order of St. Andrew the Apostle – a society which defends the rights of the Ecumenical Patriarchate and is linked to the Greek Archdiocese of America. Among its speakers were Metropolitan Emmanuel of France representing the Phanar, Rev. Dr. Nicholas E. Denysenko, PhD and Professor of Theology, and Vera Shevzov, PhD and Professor of Religion, Russian, East European and Eurasian Studies. Since the conference was open and all issues could be discussed, both the speakers and listeners asked their questions. This fact put Metropolitan Emmanuel in an awkward position as there were lots of issues regarding the Ecumenical Patriarchate’s policy that had to be clarified. By the end of the Town hall, it really seemed that he hadn’t prepared in a proper manner or didn’t expect such a bunch of tough topics. The metropolitan was elusive in responding to many questions, e.g. – what was the reason for the unilateral cancellation of the 1686 act on joining the Kyivan Metropolis to the Moscow Patriarchate. Of course, one may presume that Metropolitan Emmanuel didn’t want to discuss such awkward topics. But Constantinople appointed him to supervise the Ukrainian issue. That was he who presided at the Ukrainian Unifying Council in December. So, his evasiveness or unwillingness to answer tough questions show at least that the autocephaly project wasn’t elaborated enough. Even the hierarchs of the UOC of the USA and UOC of Canada, who took part in the process, were surprised when everything went so fast. The Ecumenical Patriarchate received the appeals of President Poroshenko, the Ukrainian Parliament and clergy in April 2018, reinstated the hierarchs of the formerly unrecognized UOC-Kyivan Patriarchate and Ukrainian Autocephalous Orthodox Church in October, and as early as in December these Churches and two UOC-MP bishops united to form the Orthodox Church of Ukraine, which received the Tomos of autocephaly on January the 6th. What did make the Phanar implement the project so hastily? Were there some fundamental church reasons? It doesn’t ring true. The position of the uncanonical churches didn’t change that much since 2008. Maybe there were more prosaic, material reasons such as political or other advantages. For instance, to make profit and get the better of your “competitors” in the struggle for influence in the Orthodox world. Tamar Lomidze must be circumspect, but I can speak out: in Greece we have long assumed the American Patriarch of Constantinople is a CIA plant. This is not the first time he has acted in an unecuminical way and against the precepts of the church. We can now see that the Metropolitan in Paris is also compromised. This is all part of the US State Department’s assault on Orthodoxy and the Orthodox world, since this represents a civilisational paradigm far outside western Christianity, (the latter has long been corrupted and neutered.) Orthodoxy is a thick stripe of countries extending from north to south, from the North Pole to Ethiopia and separating the West from Asia. We are the original church with deep essential differences from the western christian sects, including the Church of Rome.The Orthodox world rejected the “enlightenment” and represents a different philosophy and approach to life than the West and its Christian sects. Thus it is a threat and embarrassment and must be destroyed.